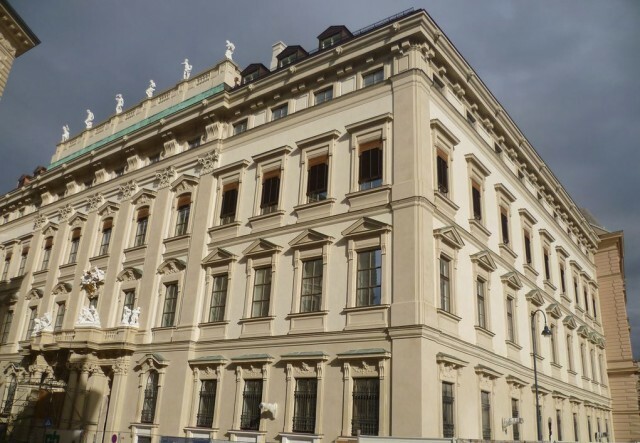 The city palace Likhtenshteynov on Bankgasse (Stadtpalais Liechtenstein), constructed in 1705, was the significant building first in Vienna made on canons of the highest baroque. A palace have started to build in 1691 for the column Dominica Andreas von Kaunits. 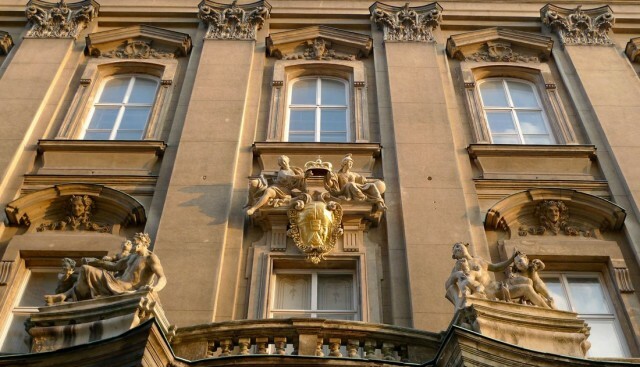 After three years of construction a building the prince has redeemed Liechtenstein – Johann Adam I.
Likhtenshteyna have caught a building to arrange in it the patrimonial city residence. According to the plan of Italian architect Domenico Martinelli, the palace should become a pearl of the baroque style new to that time. 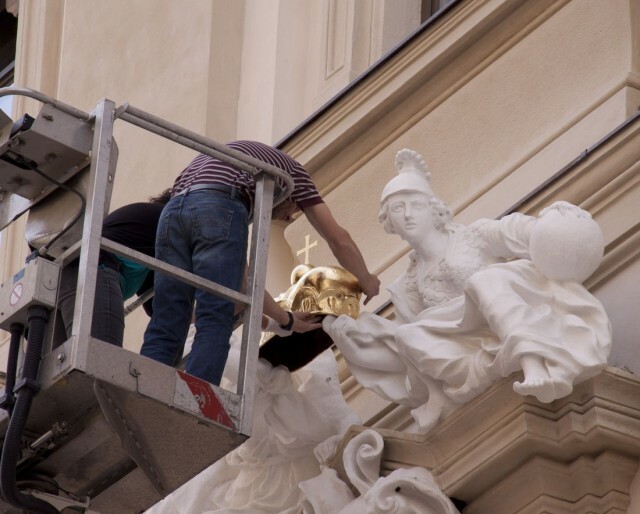 The main facade of a palace turned to Bankgasse Street became a bright prototype of baroque. Its monumental portal has been issued by harmonous Ionic columns which supported powerful eaves with a balustrade. Rectangular apertures of windows have decorated corresponding сандрики and eaves. Attica Giovanni Giuliani was engaged in sculptural registration, it worked over an internal interior of a palace. Plaster works were executed by recognizable Italian master Santino Bussi. 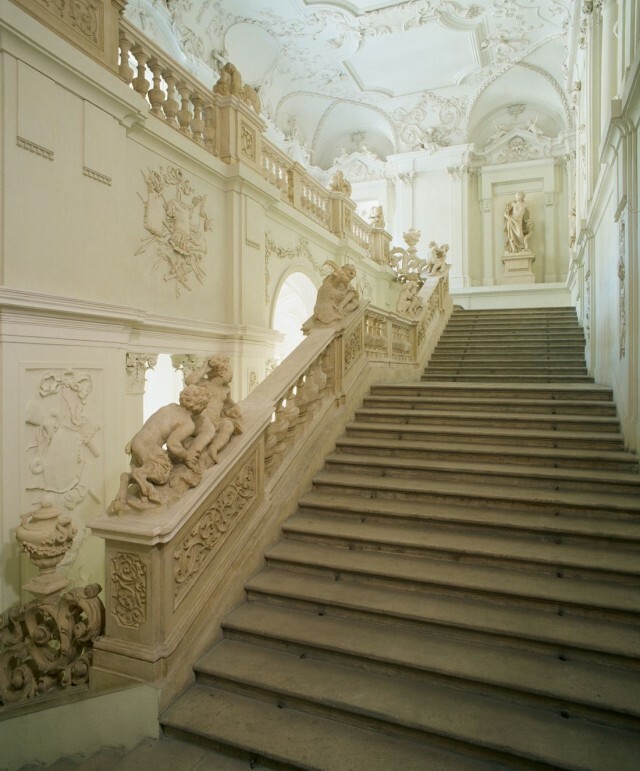 The front staircase was built in 1699 by the Vienna master Mikael Hall; the stone carving on it has been executed by Wolfgang Shteynbokk. 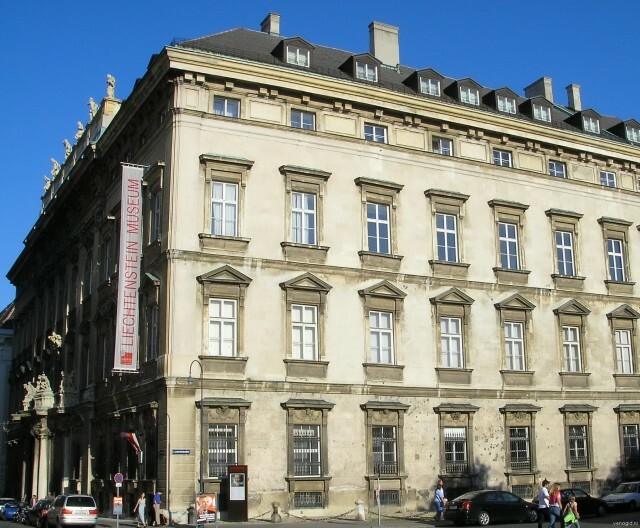 The art gallery belonging to princely family was located on the second floor of a palace till 1806. The palace not once was exposed to alterations. In the middle of the XIX century prince Alois II Likhtenstein, the supporter of the British style, has planned to reconstruct a building in style of neorococo and a neogothic style. He has invited English specialist Peter Hubert Devinyi. The designer worked over reconstruction twelve years. Fine smart halls became result of its work. The ballroom of the Liechtenstein palace has been issued by moving mirrors, decorated with the modelled decor which has been generously covered with mosaic gold. The palace parquet and furniture did Charles Leystler and Michael Utopayet. Without considering decorative design was improvements and from the technical point of view much. In a palace there was a lift, the device of internal communication with offices for post correspondence, system of air heating. In a ballroom the double system of lighting which had unique visual effect was used. Among 1 of salons the pool with a fountain has been arranged. The palace has avoided destruction in days of the 2nd World war, but has seriously suffered from bombs falling by a row. the 1st reconstruction became probable only in the mid-seventies last eyelid. The building needed some steps of restoration. In the spring of 2013 the palace has been repaired absolutely – reconstruction passed under control of designer Manfred Vedorn. Gilding and a silk upholstery on walls, an initial furniture situation, an eminent front staircase have been restored. Candles and candlesticks have been changed to light-emitting diode lamps. In walls of the restored palace the exhibition of works of an era Bidermayer and classicism from personal meeting of family Liechtenstein has taken place. In a building it is possible to behold furniture Toneta, vases, engravings, a dining room and decorative ware of the Imperial porcelain manufactory. In a palace tours – including, eminent «Night of museums» are conducted. The smart Stadtpalais halls are given for festive actions. Other palace Likhtenshteynov, the Garden palace, is on Fyurstengasse.